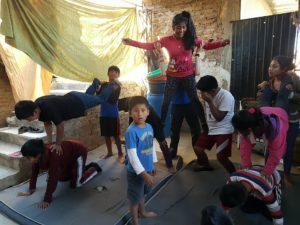 Located in Cochabamba, Fundación EnseñARTE Bolivia provides performance training, healthy meals and school support for children living in poverty via social circus and music programs. Founded over a dozen years ago by John Connell, the foundation started in the US as Performing Life. 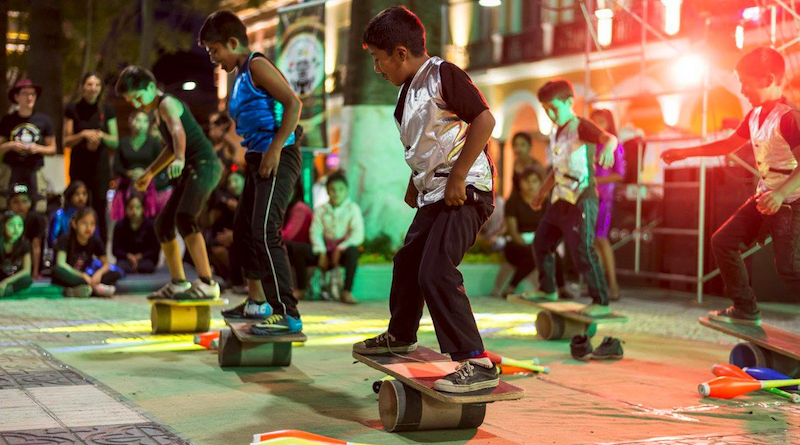 Now located in the center of Bolivia at the foot of the Andes, the mission is to help impoverished kids break the cycle of poverty and create better futures through the arts. Over 70 families and 3,000 kids have been helped, and all of the youth have graduated or are still in school. The social circus helps children improve self-esteem and learn patience and teamwork, including conflict management, non-violent communication and gender equality. They learn body awareness and improve physical skills like flexibility and balance, coordination and strength, culminating in a quarterly performance before an audience. The music program lets youth learn to play instruments and write their own songs to inspire self-expression and confidence. Several Cochabamba partner organizations and their clients attend twice a week, two hours a day, and the students perform regularly as well as sell CDs (11 recorded to date) with songs about their daily lives on the streets. The socio-educational program complements the social circus activities with games and hands-on activities to encourage kids to study, and help them find scholarships and other support to attend college. The health program is run by volunteers, who offer free nutritious meals and educate participants about key health topics. They also maintain a support network of local, national and international groups, like with Smiles Forever Foundation to provide free dental care, teachers and principals at local schools, and the Yanapanakuna Network, more than 20 local organizations working in prevention and intervention for street youth. 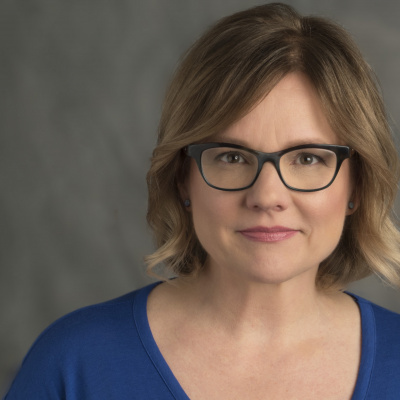 Social psychologist and education expert Irene Soria Lopez joined Fundación EnseñARTE in April 2017 as executive director. For 18 years, she worked with circus projects primarily in Spain, including collaborating with conventions, workshops and schools. She wrote a safety guide for fire juggling. “We are always happy to hear from new partners and volunteers about new ideas and projects,” Soria said. 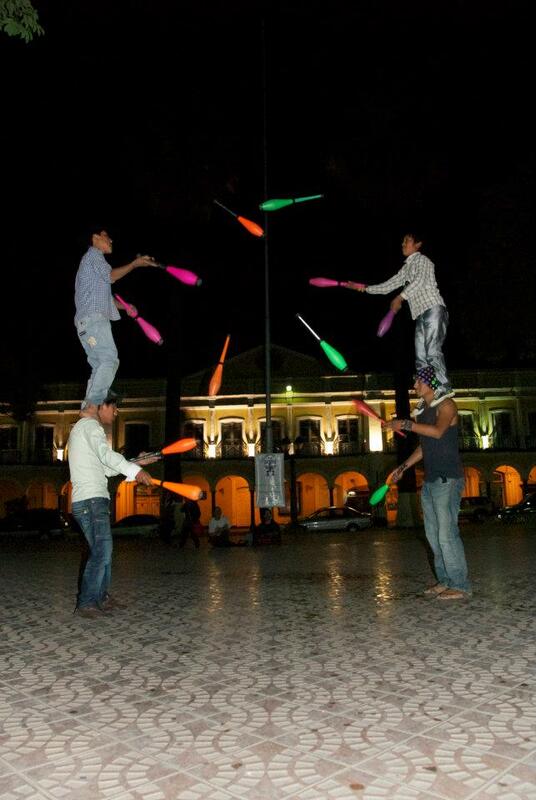 “We are also willing to share our knowledge and experience with social circus and music, pedagogy and socio-educational intervention.” Fundación EnseñARTE wants to interface with others to help at-risk youth by sharing ideas about networking, volunteer and NGO management. She hires people from around the globe, but gravitates towards artists from Bolivia and Latin America who better understand the culture. The foundation hopes to hire program graduates who still live in the community, like Tania Coca. International volunteers also teach the children for a few months or a year. Training happens in the city’s main squares, and in three centers in the poorest communities with basic facilities: kitchen, lunchroom and circus prop storage. Esteysy, the daughter of one of the Fundación EnseñARTE cooks, has been in the program for several years. She says when she heard the story of Peter Pan,“I imagined myself flying.” She learned how to fly on the silks and trapeze, as well as practicing the unicycle and other circus arts. She “likes to see everything from up above,” and Fundación EnseñARTE gives her, and many others, that vantage point, taking them from the streets to the sky.